Imagine Your Customers And Prospects Rewarding You With Their Business and Loyalty Without You Even Selling To Them. 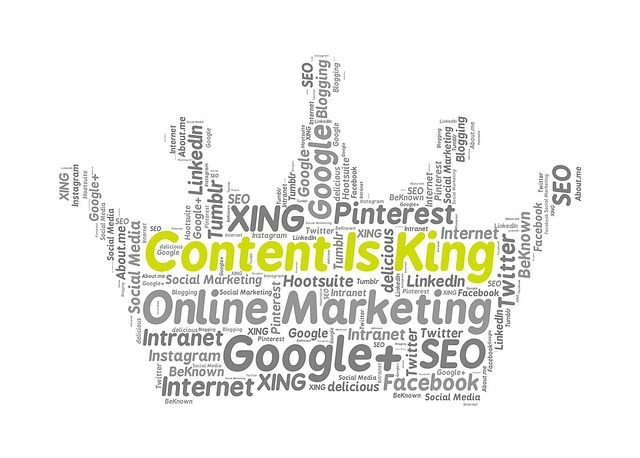 Let us introduce you to content marketing. Content marketing is the art of communicating with your customers and prospects without you even selling to them. It’s all about creating and sharing valuable, high-quality, and free content so you attract and convert prospects into long-term customers for your business. And generating high-quality, fresh unique content is vital to search engine optimization, social media marketing, and pay-per-click advertising. And if you’re constantly spreading valuable content online, it’ll enable you to become the leading authority figure in your niche. And when customers and prospects see you as the leading authority figure on a specific niche, they see all the positive reviews for you from past clients, and they see all your content online, they have no choice but to reward you with their business and loyalty. Now, before we can dive into the concept of content marketing we would like to let you in on something that constantly irritates your customers. Most of your prospects and customers today are ignoring the traditional marketing we’ve always been so accustomed to. They neglect advertisements in magazines and TV, they don’t pay much attention to TV commercials, and they neglect the banners and advertisements while surfing on the internet. 81% of shoppers do research online prior before deciding to buy it at a store. 60% of online shoppers look at online reviews before purchasing consumer electronics. However, there is a solution to solving all their objections towards buying: Educate. In today’s world, educating your customers and prospects in their buying decisions won’t only create trust between you and your customer but also it makes your customers and prospects feel valued. When it comes to content marketing strategies, there are many different platforms of how you can educate your customers and prospects. Whether it’s from blog posting to creating high-quality videos, all these content strategies will be available 24/7, 7 days a week on your website, for your customers and prospects. Blog posts are a great platform to increase your online presence in the market. It’s one of the best tools you can use to educate your customers and prospects on your products or services and it helps improve your search engine ranking. E-books are another great tool to educate your customers and prospects and help in many ways like generate more leads, it helps build your brand, and it offers valuable knowledge to your target audience. Testimonials, whether written or video, are a great way to show case to your prospects other customers that have tried your product or service. Videos are great way to help you generate the leads and build your brand like your always trying to do. Video is effective because most people now a day have a shorter attention span and prefer high-quality information presented to them quickly and simply. All these done right, will not only help you with your content marketing efforts but also help you find more clients and get you on top of the place you always dream and think about, google!